With the rise of digital marketing and the ability to measure and analyse everything, the view on marketing and advertising has changed. Where we had creative specialists in the past, today we have data analysts. Many times people ask me if creativity in marketing is dead and that is has become a boring job. I always tell people, no creativity is not dead. In fact now it is time to be more creative than ever! However probably in a different way than in traditional advertising. With more than 3 million companies advertising on Facebook alone and people being exposed to an estimated 20,000 marketing messages a day, it is time more than ever to think outside the box! I believe that thinking outside the box, in digital marketing, does not mean to come up with the best or funniest creative ad copy. But instead today, you need to think creatively about the tools, the data and resources you can use. Let me give you an example. Recently I have been asked what is it that you do differently than all the other marketers out there, we already have one agency that does our Facebook ads, what is it that you can do differently? Well, it is not about if you can do Facebook marketing, the question is on how you do it. The first thing I asked is how the website visitor retargeting is set up? The response: Sure we do retargeting already. See, I did not ask if they had retargeting in place, but the question was how. Unfortunately most companies out there do not think creatively enough about what all they can do with their own website visitors alone. How many times does it happen to you, that once you visit a website and then go back to browse your news feed on Facebook, all you see is an ad about the product of the company although you just read an article on their blog about some information you were looking for? So how can you do it better? The answer is: Think outside the box, be creative and start to leverage your website to build your own Facebook retargeting funnel. 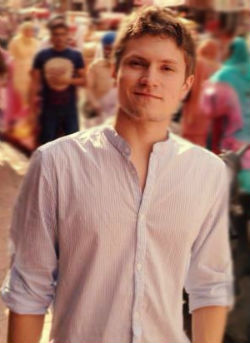 I am going to walk you through a couple of simple concepts that you can start to implement today to build your own advanced retargeting funnel on Facebook. 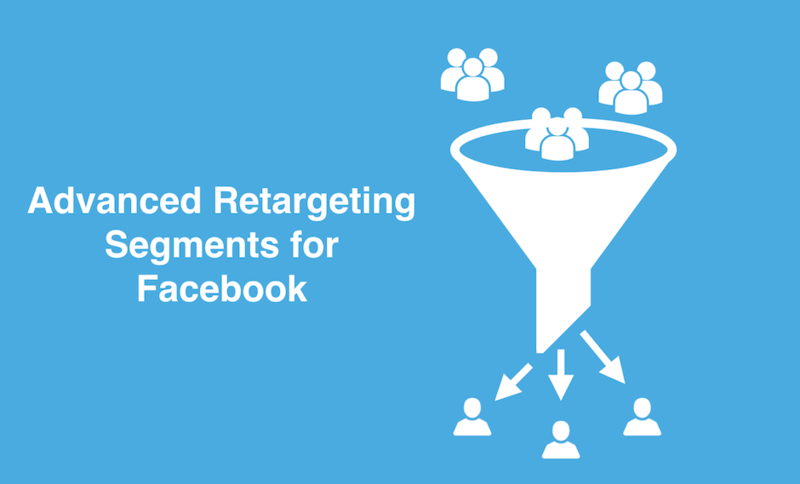 What is retargeting on Facebook? Retargeting or also known as behavioral retargeting or remarketing, is the practice of showing tailored online advertising to people based on their previous behavior on a digital property you own. Well, now you know the definition of it, but how does it actually work? This is why you will see retargeting ads in your mobile feed of a website you have visited on your desktop. How to set up your retargeting pixel? Now, the first thing you want to do, is set up your retargeting pixels, so that you are actually able to target real people that have visited your website. There are many different ways of tracking your website visitors. 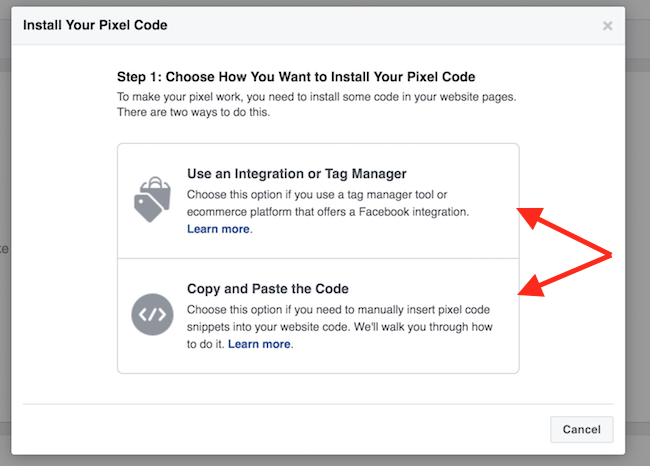 You can use multiple different tools for it, but for the purpose of this blog post let’s focus on the Facebook pixel. Head over to your Facebook business manager and login to your account if you have not yet created one. Navigate to the section where you manage and control the Facebook pixel. Create your Facebook pixel and follow the instructions on how to set it up correctly. If you want to read a more detailed guide on how to set up your Facebook pixel and what else you can do with it, then read this article. Great! 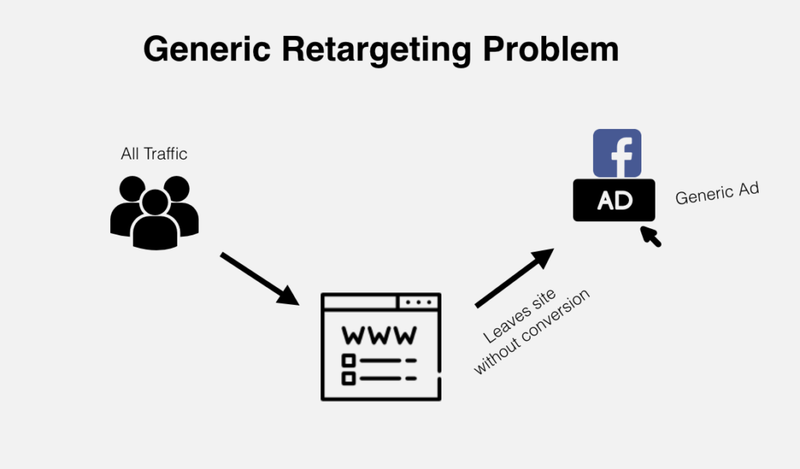 Now we know what retargeting is and how you can set up your Facebook pixel to capture all those visitors of yours. 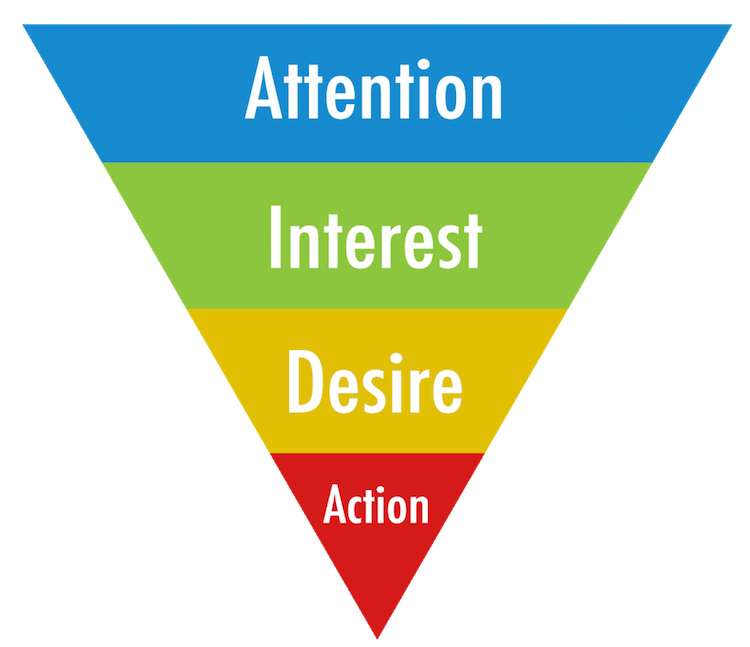 Next let me quickly introduce you the concept of building funnels, if you are not yet familiar with it. A funnel, also known as marketing, purchase or sales funnel is the theoretical concept of guiding a user through all steps of the customer journey pre and post sale. Now when talking about ad funnels, I mean a sequenced series of ads that push a user to the next step in their own customer journey. The concept itself is nothing new as it heavily leans on the AIDA model. However in digital marketing it seems often forgotten, that you cannot ask a person that does not know you, to buy from you immediately. The idea behind it is that you are first concentrating on building a relationship with your audience by providing help and guidance. You need to create a tiered sequence of content and ads. Like this you are able to push people step to step in a pace they are comfortable in. Alright. Let’s get started by dissecting your website audience! 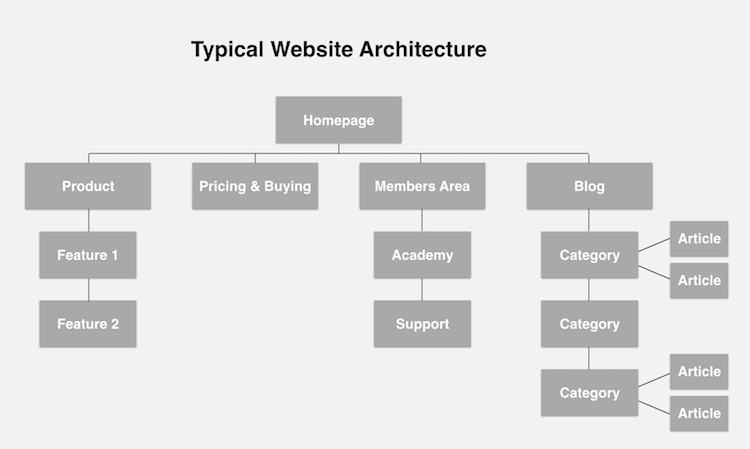 The very first thing we want to do, is create a mind map like overview of your website structure. To make this concept as simple as possible let’s focus on a typical website that sells a software. As you can see we have different areas on our website. We have the homepage, pricing pages, feature pages, an educational area around the software, company and career pages, the blog with all its posts and a members area. This is great stuff. Right there we have so many different opportunities of creating awesome retargeting campaigns. Next, before we dive into creating retargeting campaigns, it is important that we are able to understand all the different points of entry on our website as well as the different user behavior flows that are possible. First we want to segment our traffic into two big groups. I know that in practice this segmentation is often overlooked, although it is one of the most prominent features in every analytics report. Differentiating like this is important, as returning visitors already know you and have found your previous content helpful, while new visitors have stumbled upon your content or found one of your ads attractive. Visitors that have been returning more than twice are very likely to become your fans, you will want to use a different messaging towards them, while you want to focus on new visitors with a different message to ensure they come back to your website. Second, we need to look at the landing pages and sources of the traffic. Now why is this important? Because every traffic source has a different intent behind it. Website visitors coming from search engines are looking for information, for an answer to their questions and problems. Social traffic on the other hand usually brings with less time, as people are browsing their news feeds to gather information quickly. If people clicked on your ad or post they found the headline intriguing, are curious to browse what you have to say but are not necessarily in the mood of acting much further. Direct traffic, excluding yourself and your team, is quite often the most profitable as they have come back intentionally to learn or read more about what you have to say. Now it is time to look at the landing pages connected to each traffic source. This is important because the traffic source alone, is not necessarily able to tell you enough about the “real” intent behind any user action. Let’s take three categories from above as landing pages and pair it with the following traffic sources: search engines, social and direct traffic. Great now we already have a better understanding of what the people on our website are looking for. As you can see, we have now quite a sophisticated model of different user flows and intents. Of course if you are going to do this for your own website, you should dig even deeper and look at even more interactions, to get a better understanding of your website visitors. Now, why is segmenting your website visitors like this important? 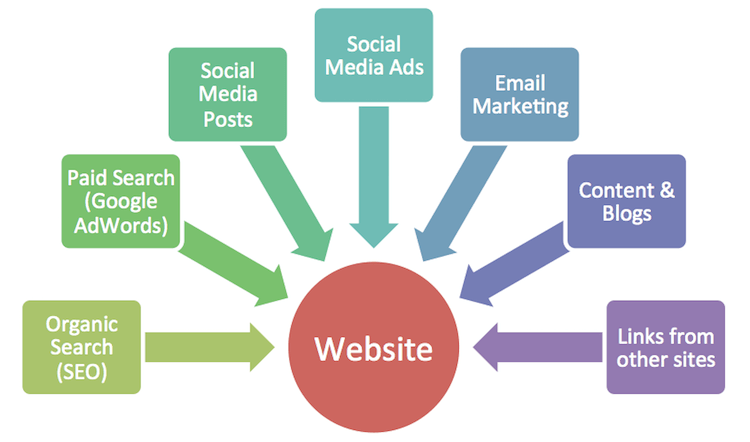 Only by putting in all this extra effort you are able to understand your website visitors intent even better. This gives you the unique chance to build and create content and ads specifically tailored to the needs of each segment, that will push those further down your funnel and take the next step towards becoming a visitor. Now that we have segmented your website audience properly, it is important to create the next step that each segment should take. I call this piece of content second tier content. It basically means, that this is tailored information you will push controlled to the audience that has viewed this piece of content, to push them deeper down the customer journey. Look at all the user intents you have gathered from your segmentation process. By doing this, you will be able to come up with content ideas that you can create in order to engage that traffic further. As you can see, we end up with quite a big amount of different segments (in this case, we would get 54 different segments), and every segment has a different visit intent. This also means that every visitor segment needs a different follow up action in order to engage them and push them further down the funnel. The next step is to map and create your second tier content. 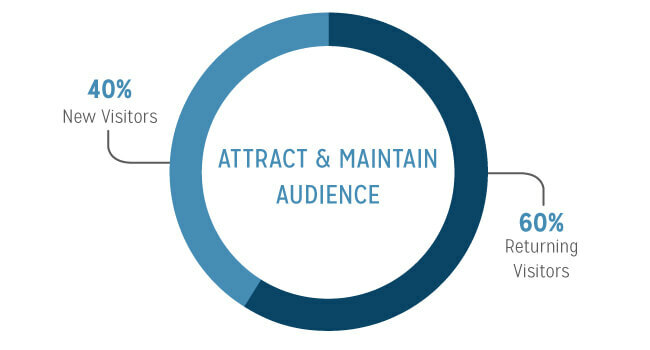 This would mean, that if you have 54 different audience segments, you should also create 54 fitting pieces of content. By doing this you are able to target and communicate to people on a highly granular level. 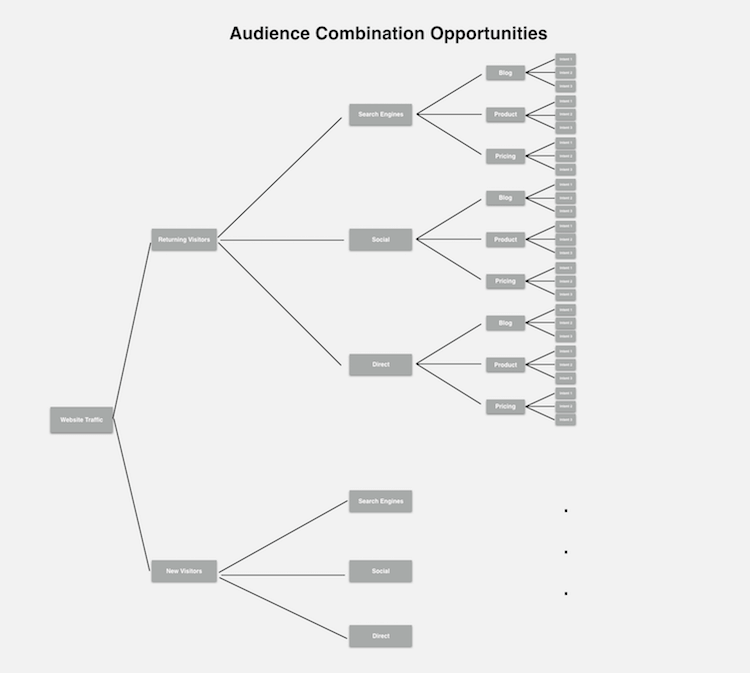 I am not going to create 54 different pieces of content in this blog post, but to show you how second tier content mapped to the user intent can look like, I am going to concentrate on three different audience segments. Here is a list with the different audiences, their expected visit intent and the corresponding follow up content. Great. Now we have created an overview of all the different scenarios our website visitors can take and we have successfully, mapped second tier content to the different user segments. But before we can actually push out our ads, let me show you how you need to set up your tracking. The most important part for this strategy to work, is to have the correct tracking in place, that you can actually create and capture all your different visitor audiences. To do this, we are going to use the Facebook pixel. Above I have showed you, how to install the pixel if you haven’t done so yet, now I am going to show you how to create the relevant audiences. The audiences we are going to set up are not the typical website traffic audiences we can just set up in the business manager. But instead we need to move over to Facebook Analytics. Next we need to create a new segment of our website traffic. Here we want to include people visiting a certain page, coming from a special traffic source. We can also differentiate between new and returning traffic. To do this, click on “edit” and you will be directed to the segments overview. Here we are able to add all the conditions we want. To illustrate this example, I am going to create three different audiences instead of all 54 possible audience combinations. Audience One: New Visitors that come from search engines and land on the blog. In Facebook Analytics you can set different conditions in order to create a segment of your entire target audience. To create the first audience we select the event of “New Website Visitors” and include that. Now we can add two more conditions in order to create this audience. The second condition we add is the traffic source. In this case we put that to “Search Engines”. The last condition we add, is the URL of the blog post, or optionally a blog snippet to target all the blog traffic. Audience Two: Returning Visitors that come from Social channels and land on pricing. To create this audience, we will need to exclude all “New Web Users”. By excluding this group we are able to only target returning visitors. The next condition to add is again the traffic source. This time we set it to include all social traffic. And last we add the condition of the current URL as the pricing page. Audience Three: Returning Visitors that come directly and land on a product feature page. Our last audience we can create in a similar manner. First we exclude all new website visitors. Then we set the traffic source to direct and last, we add the page visits of the product feature. Now we have created three different target audiences directly in Facebook analytics. All those audiences will be pushed to our business manager, where we can then create ads to target those audiences. Learn what advanced Facebook Pixel events are and how you can implement them today to boost your customer insights! Finally we have created all our audiences we want to target and we are coming to the interesting part of setting up our Facebook funnel ads. 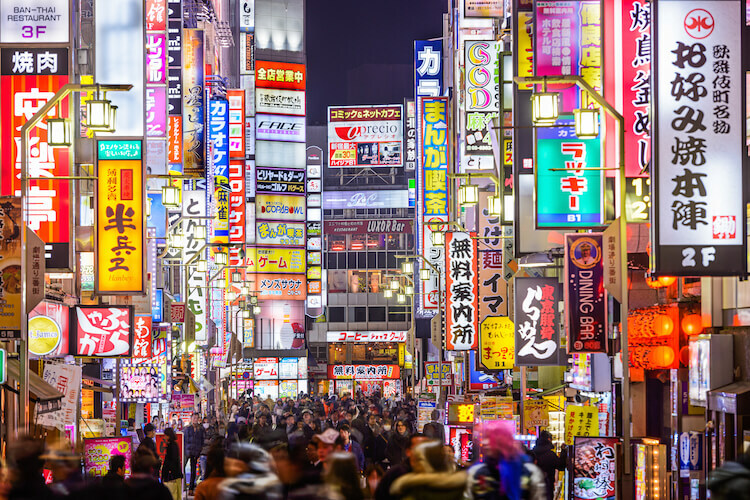 As you remember with those retargeting ads we are able to offer highly specific ads based on the audience segments. Like this we are able to increase our interaction rates which should lead to generating more relevant leads. I am going to illustrate a series of ads based on our three audiences we have created above. With this ad sequence, we want to take one thing particularly into consideration. This traffic, does not know you yet, so the focus of your ad copy needs to be heavily on the benefit they will get through downloading your advanced content piece. This audience is highly price sensitive, so you will need to make sure that your visual sticks out of the crowd and has a strong focus on the money saving aspect. This segment is currently on the hunt for their perfectly fitting software solution. So when you want to get their interest on the comparison of product features you have created you will need to focus on your ad copy. In one sentence you want to make clear that they find all the information they are looking for by clicking on your ad. As you can see, it is absolutely worth it having a deeper look at your website audience, segmenting it by different intents, interests and usage behavior. Once you have invested all this work set up different ad funnels for each audience segment, you will see a tremendous increase in leads and audience stickiness. If you’d like to learn more about how you can optimize your Facebook advertising to generate more leads and sales, then join my free Facebook webinar, because I will unveil 5 simple strategies that will help you be more successful. Reserve your seat today! Do you want Advanced Facebook Pixel Events? NO, I DON'T LIKE TO LEARN.